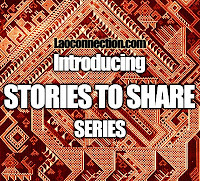 Laoconnection.com: Story to Share: Buddha Charades - Game of Champions! 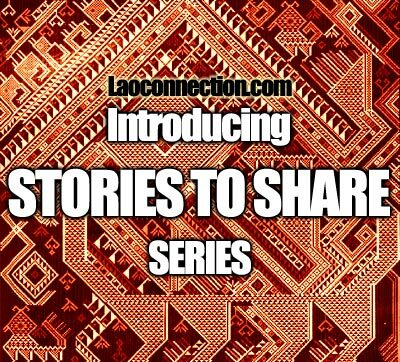 Story to Share: Buddha Charades - Game of Champions! When I was in Laos I taught a group of grade 1 kids. Wonderful, bright kids. It was that time of the year, according to the school director, for a field trip. During part of the field trip we went Vat Pha Kaew and Vat Sisaket/Seesaket in Vientiane. One of the questions posed by 2 of my students was why the Buddha was sitting this or that way or why were his hands in a certain position. Regrettably at the time I did not have all the answers. At the time, I knew of a few of the standard poses. For example, the sitting cross legged pose with his hand touching the ground represented how Buddha fought off Mara by simply touching the earth as proof of his resilience or sometimes described as having the earth bear witness to Buddha not falling to Mara's temptations. Or when he's lying down on his side which was when he about to physically die, his paranipan (Pali: paranibbana). And I knew the hand gestures are called mudras. But what about all the other major poses? Or what of the other hand gestures? What did they all mean? After the trip was completed and the weekend came, I was hanging out at a friend's place who happened to be a monk. And wouldn't you know it? He had a photocopied booklet written in English and Lao that explained most, though not all, of some of the most common poses seen in Laos for Lao Buddha statues and paintings! I thought how perfect was this!? It was exactly what I needed. I asked to borrow it and he pleasantly agreed. My next step was to share the new info I found with my students. Working with younger students, a teacher needs to be inventive and resourceful in making new topics interesting for kids to learn. I kept thinking to myself I don't want it to be boring. After some thinking, I decided charades. But not just any charades - Buddha charades! For those of you who may not know, the game of charades is simply acting out an idea/word/phrase but without talking and the other people playing the game have to correctly guess what you're trying to convey. I photocopied each of the Buddha images from the booklet, cut them into squares and gave each student a different one. They had to act out each pose and then the class had to guess what they were doing. The kids had great fun and it taught them what the different poses meant. It helped them to memorize it without even realizing it. It was hilarious watching them play it. Hearing the kids yell out "fighting Mara", "calling for rain", "going to teach", "stopping Mara", "paraniphan", and so on. Side story: I receive a slight criticism over this because the temples and Buddha was seen as a more religious topic and some students in my class were not Buddhists. To which my response was: First of all the trip to the temples were planned by the school director and was done annually for each grade 1 class. Secondly, the game was meant to answer the kids questions and to educate them. Thirdly, it was for social science class which of course is to teach the societal aspects of the culture (native or otherwise). So for me, I felt the criticism was a bit unfair. At the end of the day, the kids had fun and learned something new - and that's all I really cared about. I had no regrets over it.